Lilies are a bulbous perennial flower that have four main shapes of flowers: trumpet, bowl, funnel and recurved. They require well-drained soils that are nutrient-laden. Most lilies prefer neutral to acidic soil but some prefer alkaline soil. Depending upon the variety, lily flowers bloom from spring into fall, gracing each season with their presence. Star gazer lily (Lilium 'Star Gazer') is a perennial flower bulb that grows 3 to 6 feet wide. Star gazer lilies have crimson flowers with purple spots that create a stunning display. Facing upwards, the flower heads are fragrant and ideal when planted in containers or along a garden border. Container-grown star gazers require a regular amount of fertilizer. The key to a healthy star gazer, and most lily varieties, is keeping the flower head in full sun and roots in the shade. They tolerate any garden soil but require a deep planting. Star gazers prefer well-drained soil that is nutrient-rich and acidic to neutral in nature. Plant star gazer lilies in U.S. Department of Agriculture (USDA) Plant Hardiness Zones 3 to 8. Aztec lily (Sprekelia formosissima) is a perennial lily variety with a clumping form. 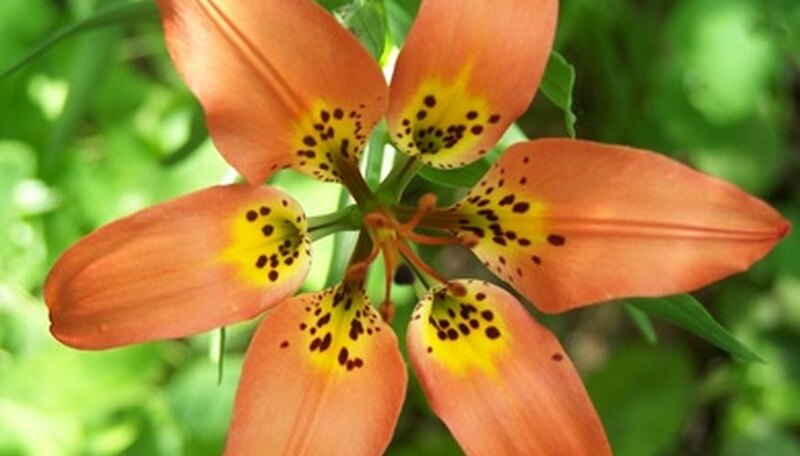 Growing 1 to 3 feet tall, Aztec lilies have strap-shaped leaves that grow in small clumps. Each stem of the Aztec lily grows less than 1 foot to hold the single, scarlet bloom. Emerging in late spring to early summer, Aztec lilies sometimes have a second round of blooming later in the summer. Native to Mexico and Guatemala, Aztec lilies are ideal planted in containers for a stunning specimen plant. They require full to part sun and a high amount of moisture to thrive. According to Fine Gardening magazine, “because the bulbs are tender and bloom best when crowded, container culture is probably best.” Plant Aztec lilies in USDA zones 8 to 10. Formosa lily (Lilium formosanum) is a late summer-blooming lily variety with fragrant white blooms. Growing 3 to 6 feet tall, the formosa lily is an ideal plant to grow within the back of a garden for height. Beginning in August to last into October, the Formosa lily bears the 10-inch long flower. Their sweet scent and pure white trumpet-shaped blooms light up the garden. Formosa lilies sit atop the tall, erect stalk that holds the thin green leaves. They thrive in full sun to shade and well-drained, nutrient-rich soils. Plant Formosa lilies in USDA zones 6 to 9.